Axel’s 3rd. anniversary led us to introduce ourselves into Bressol Gespa School located on the campus of UAB. Every week we do some performance, but there are some that are worth noting, talk about it and remember it. 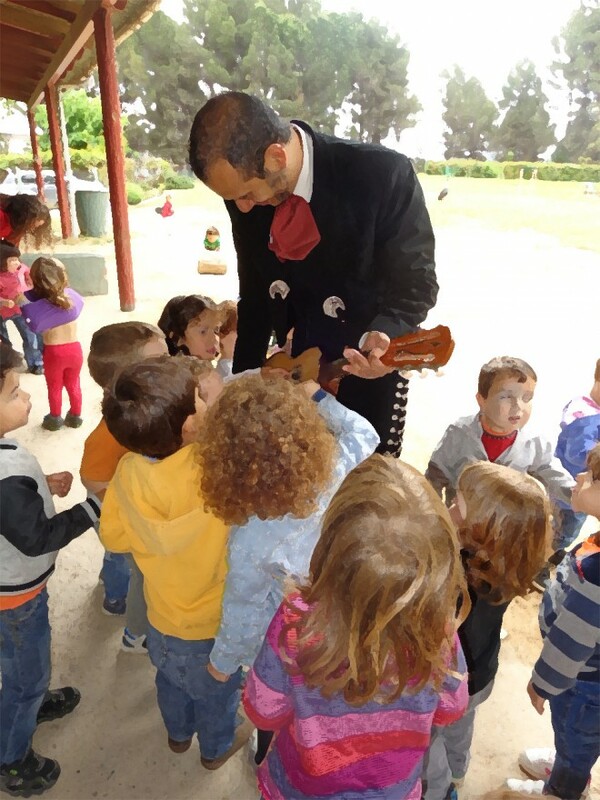 In this presentation there were several nice features: he is the son of a former member of Mariachi Semblanza that years ago settled in these lands and to celebrate the birthday of his son, invited all of his little mates and we made a very festive Mexican morning outdoors at the nursery. In the tradition of Mexican music there are many public domain songs that I think have long crossed the borders of our country. 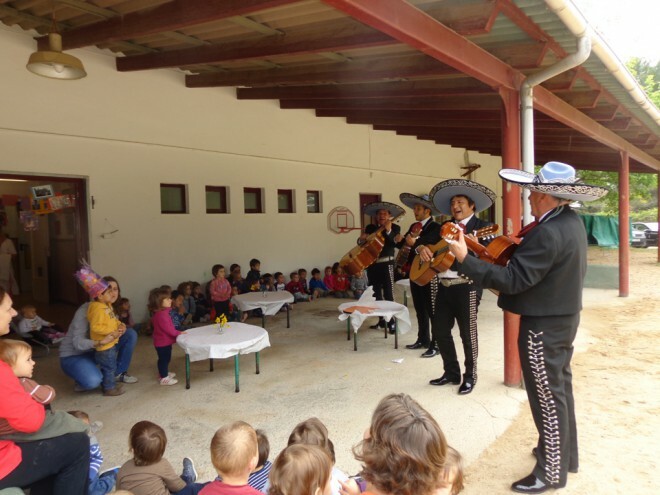 Songs and tunes that are suitable for music education and introduction to sound enjoyment for the little ones and the test was the enthusiasm with which these children were given to our music. First, simply observed what we did, then they started to dance, to run, to want to play the instruments, and after a brief explanation of what we were doing at the end clapped and had for lunch Guacamole. Not everyone knows that this is Mexican music, or what the traditional instruments that are playing are called, how they are interpreted, where they come from, what these songs are saying … A Mariachi Semblanza performance is a great way to approach our culture because we know the roots that feed us as people, as musicians and tradition bearers. In Mexico, as in most countries of the world, children grow up with music since we are young, but our music has traveled in the memory of many people to many corners of the globe and I think it is right to know where it comes from and make these presentations for kids is so beautiful.